On the Teleportaloo: Dog bowl: where in Portland? 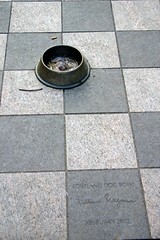 Dog bowl: where in Portland? I added this pic to the Flickr group Guess Where PDX?. It is a Benson Bubbler for our four-legged friends.